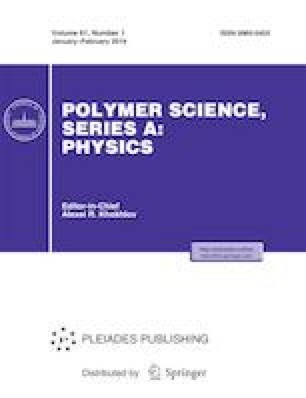 Polylactic acid (PLA) and poly(butylene adipate-co-terephthalate) (PBAT) were blended in a twin-screw extruder with a compatibilizer of PLA grafted using glycidyl methacrylate (PLA-g-GMA), providing PLA-g-GMA/PLA/PBAT composites. The chemical structures of the composites were determined using Fourier-transform infrared spectroscopy (FTIR). The effects of the PLA-g-GMA amount on the thermal properties, rheological performance, and mechanical behavior of the composites were studied through differential scanning calorimetry (DSC) using an advanced rheometer and material testing machine. The results revealed that the reaction between the PLA/PBAT and epoxy groups within the PLA-g-GMA promotes an entanglement between molecular chains, which increases the glass transition temperature Tg, cold crystallization temperature Tc, and melting temperature Tm of the samples. Moreover, the PLA-g-GMA/PLA/PBAT composites show higher tensile and notch impact strengths than PLA/PBAT.